Arranging fabric on pulley system in preparation for dyeing. 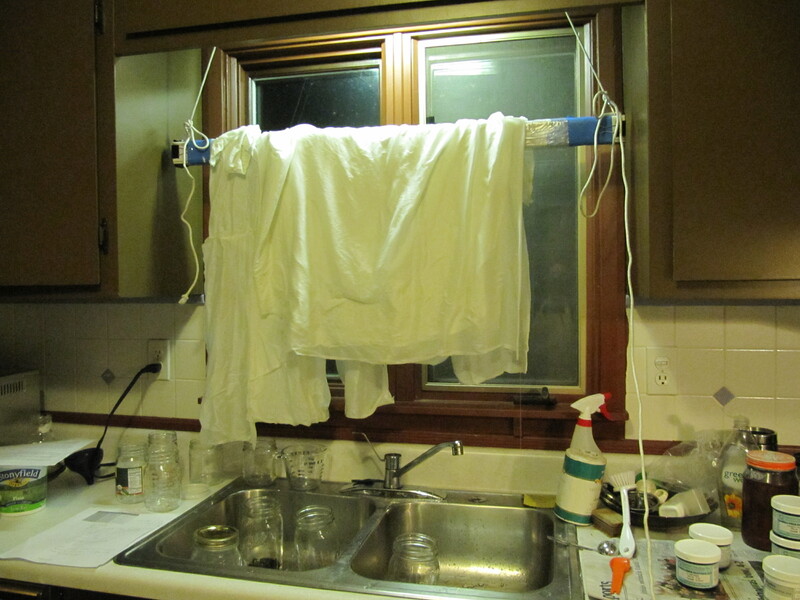 Yup, pulley works. Yay! 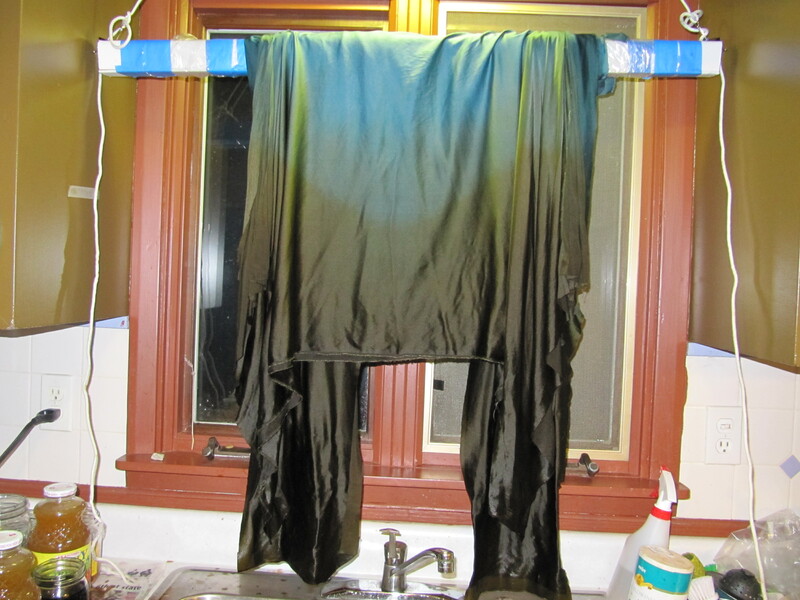 Fabric being dyed main color: teal blue that doesn’t really look teal. 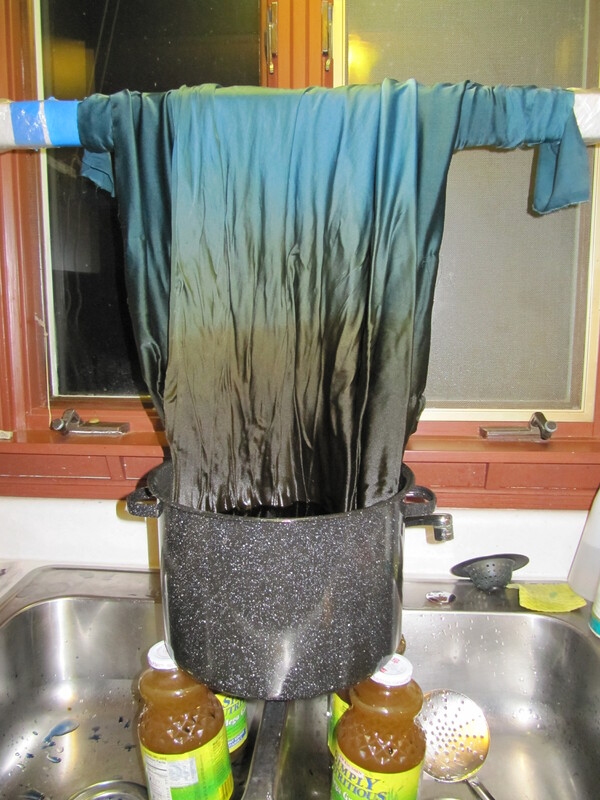 Under-dyeing with ombre technique using teal blue. About an hour later: Over-dyeing in bronze using ombre technique. Pulley system still works. 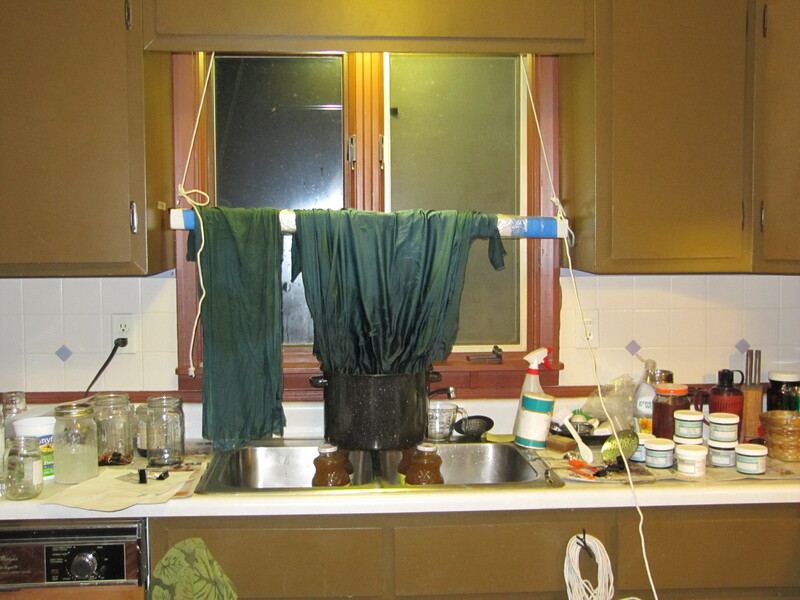 Yes, that IS a pot of dye precariously perched on four jars: an accident waiting to happen. Process nearly complete. 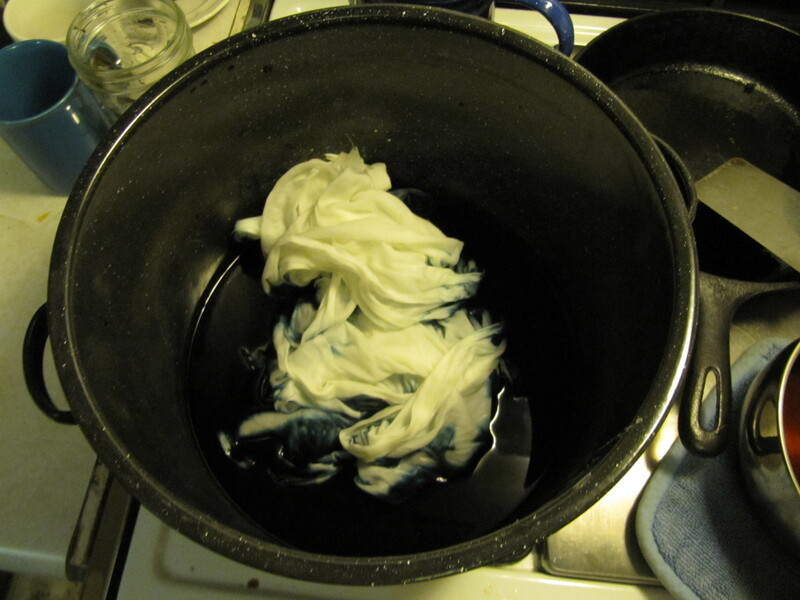 I need to carefully rinse the fabric in cold water and then throw it in the washing machine. This entry was posted in Clothing, creativity, sewing, studio, technique, Uncategorized and tagged art, Arts, creativity, Dress, Dress, Dye, fabric, Ombre, Sew, sewing, Silk, studio, technique, Textile, Work in Progress. Bookmark the permalink.